The Undergraduate Psychology curriculum is designed to prepare the student for tasks needed in the workplace and/or entry into graduate programs. Psychology majors take courses in introductory psychology as well as courses in career planning, research design and statistics, brain and behavior, social psychology and selected courses from experimental, developmental and individual difference core areas. The Graduate Psychology curriculum offers a Master of Science in Applied Psychology and a Specialist Degree in School Psychology allowing students to become licensed professional counselors (LPCs) or Nationally Certified School Psychologists. Congratulations to the recipients of the Psychology Academic Awards! 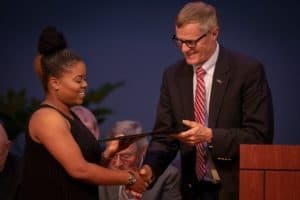 Photo caption: Dr. Wattles presenting Ronkeela Jones with the L.A. Hoff Psychology Research Award. On April 10th, 55 students from 14 different programs and 12 different departments participated in the 2019 FM Research & Exhibition Day. Four presentations were given by School Psychology students. Additionally, four presentations were given by eight Psychology Undergraduate students working with three professors. The Graduate Research award was won by School Psychology student Elizabeth Harrelson. The President’s Undergraduate Research Award was won by Ashley Krause. 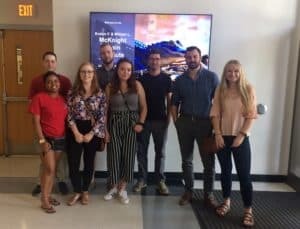 Dr. Sargent and 7 student lab members flew down to the University of Florida in Gainesville for two days to visit the neuromodulation lab of Dr. Adam Woods. Students got to see demonstrations of various methods for imaging brain structure and activity, including MRI, fMRI, MRS, and EEG, as well as methods for actually manipulating brain activity using electrical and magnetic stimulation (TMS, tDCS). In addition, Dr. Woods’ post doc and graduate students presented data from various projects and the Sargent lab presented data as well. This gave the students a chance to get valuable feedback on our EEG experiments from an expert. It was a great learning experience for everyone. 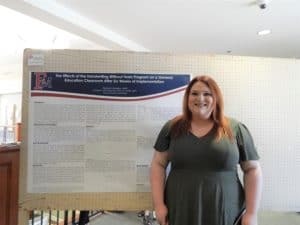 FMU School Psychology graduate student, Melissa Glenn, is a recipient of the 2019 NASP-ERT Minority Scholarship Program Award from the National Association of School Psychologists. The NASP-ERT Minority Scholarship Program supports the graduate training of minority students pursuing careers in school psychology. This prestigious award was given to only 5 students enrolled in school psychology programs across the nation. Since her passion for school psychology emerged, Melissa has developed an interest in mental health interventions and behavior modification. Fostering minorities and underprivileged students to defy the odds is a primary mission for Melissa, who also one day aspires to pursue her doctorate degree. 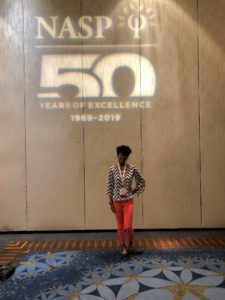 Photo Caption: FMU graduate student and NASP award recipient, Melissa Glenn, at the 2019 Annual Convention of the National Association of School Psychologists in Atlanta, Georgia. FMU Psychology majors, Ronkeela Jones and Dayna Nyman, recently attended the American Psychology-Law Society conference in Portland, OR. 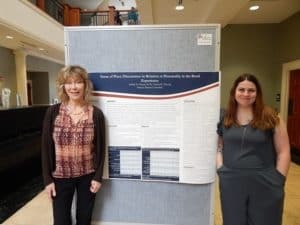 Jones and Nyman have each volunteered in Dr. Shannon Toney Smith’s research lab for multiple semesters and collected data for the research study that was presented as a paper at the conference. The research investigated jury instructions and mock juror decision making. The students were given the opportunity to attend and present research at the conference via a FMU REAL Grant (Ready to Experience Applied Learning) that funded their travel and conference registration fees. While there, Nyman and Jones attended presentations on cutting edge research and issues in the psych and law realm and met renowned experts in the forensic psychology field. 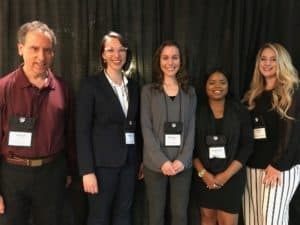 Having the additional opportunity to be directly involved with research presented at a national conference was a distinctive experience afforded to few undergraduate students. Both students expressed enthusiastic appreciation for this opportunity to learn more about concepts discussed in their Forensic Psychology class as well as how these constructs are currently being investigated. 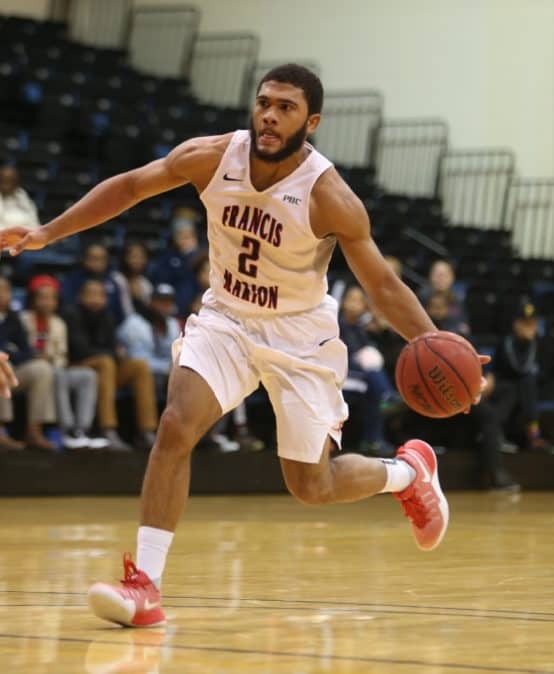 Jones is also the 2019 recipient of the L.A. Hoff Psychology Research Award. Photo Caption: Pictured left to right are: Dr. David K. Marcus, Washington State University faculty research collaborator; Madeline Nagel, Washington State University graduate student research collaborator; Dr. Shannon Toney Smith, FMU faculty research mentor; Ronkeela Jones, FMU undergraduate student researcher; Dayna Nyman, FMU undergraduate student researcher. 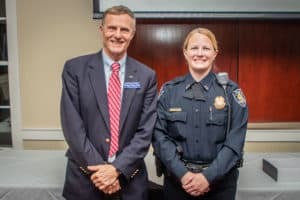 Francis Marion University’s Department of Psychology honored Myrtle Beach Chief of Police Amy Prock as the recipient of its 2018 Psychology Alumni of the Year award during the department’s annual alumni reception on the University’s campus Monday night. Prock received her Master’s of Science in Clinical Psychology from Francis Marion in 2002. She was named the chief of police for the City of Myrtle Beach in 2017 after serving more than 20 years with the Myrtle Beach Police Department. 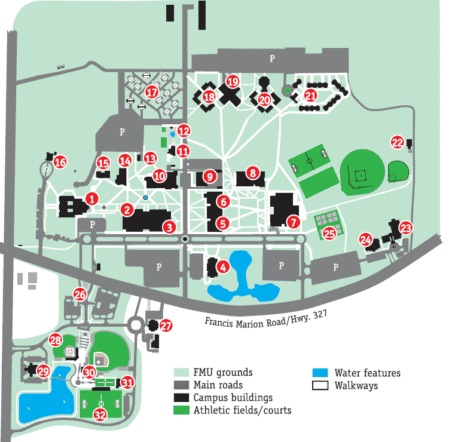 The Department of Psychology, then called the Department of Psychology, Sociology and Philosophy, was one of the original academic departments at the founding of Francis Marion College in 1970. There were no plans to offer graduate education at FMU until community mental health practitioners expressed interest in advanced training; as a result, the Departments of Psychology and Sociology began in 1976 to offer a sequence of five applied courses termed the “Paraprofessional Option.” These programs have grown a great deal since 1976; however, small class sizes, close mentorship, and hands-on training remain a priority. 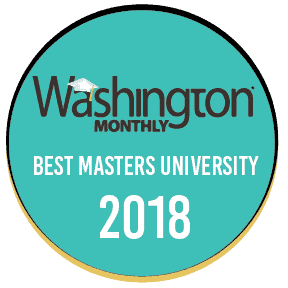 Currently, the Department offers a rigorous undergraduate major in Psychology, as well as graduate degrees in Applied Psychology (Clinical/Counseling), School Psychology and Applied Behavior Analysis.